Meghan can’t believe Jackson is back. 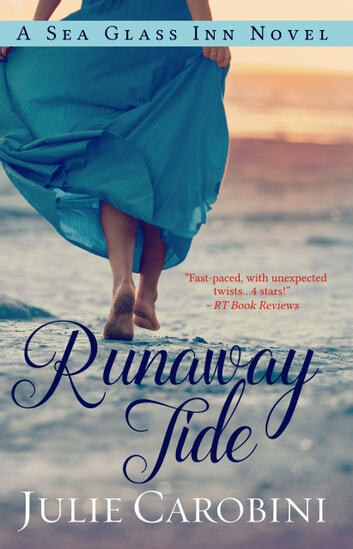 He’d left her years before, and though she stayed working for his father at Sea Glass Inn, she’d never forgotten Jackson—nor how angry she was with him for leaving. Now that his father is gone, Jackson has quite suddenly become her boss. And worse, his business partner accuses Meghan of mismanagement. She'd made a promise to Jackson’s father to stay working for the hotel chain, but how can she now? Maybe it would be better for her to run, to find solace somewhere far away like …Italy. But what happens when she unearths troubling questions? Will newfound answers cause Meg and Jackson to fall in love again? ... Or push them even farther apart? 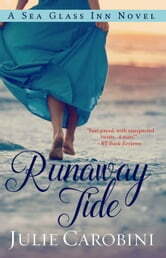 Runaway Tide is a sweet romance.